Both my daughters love this risotto. It is fresh tasting and satisfying. Sometimes I make it without the chicken and artichoke as a side dish. It is a great dish to prepare when your cupboards are nearly bare. If you have some risotto rice, a couple lemons, a few sprigs of fresh rosemary and some good Parmesan cheese you are good to go. Add leftover roast chicken and artichoke hearts when you want to serve it as a main course. I use Monterrey Farms grilled artichokes. You can't beat them for flavor. I was visiting my daughter Lauren in Brussels. She was living with 10 young professionals and graduate students in a crazy multi-lingual, multi-floored apartment, with roommates from all over europe. Somehow, she told her roommates I would cook dinner for everybody. I was more in the mood for a great Belgian restaurant, but I agreed. Lauren chose the menu, and specifically requested that I make this lemon risotto. As I got the risotto started and was slowly adding the stock to the rice, several of her roommates showed up and began peering over my shoulder and speaking amongst each other in Italian. It dawned on me, OMG I am making risotto for Italians! My confidence plummeted, and I glared at my daughter for setting me up. Somehow I managed to make two huge pots of the risotto. (By the way risotto for a crowd is not a great idea). The two pots were scraped clean and Lauren later told me her roommates often reminisced about the great lemon risotto her mother made. Please read my method post on how to make risotto before beginning this recipe. A flavorful and light risotto that is a great way to use leftover roast chicken. Or skip the chicken and artichokes altogether and make this risotto with just lemon and rosemary for a tasty side dish. Heat stock up over medium heat until just before boiling. Reduce to a low simmer and keep hot as you prepare the risotto. Finely mince the shallots and celery stalks together. Or better yet, toss them in a food processor and let the processor due the work. Heat olive oil in a dutch oven or other large heavy-bottomed pot. Cook shallot and celery mixture until soft, about 5 minutes. Do not brown. Add rice and stir to coat all the rice with oil. Cook, stirring for about 3 minutes. Add white wine and cook until wine is absorbed. Begin adding hot stock, 1/2 cup at a time, to rice and vegetable mixture, stirring after each addition until stock is fully absorbed. Continue until the rice is al dente - chewy, but firm. When rice is nearly done, add chicken, artichoke hearts, lemon juice, lemon zest and rosemary. Stir to combine. Rice is done when it is al dente. Turn off heat and vigorously stir in cold butter and grated parmesan. Season with salt and pepper. Serve promptly and pass extra parmesan. This was the first time I have ever made Risotto and this was delicious! Was not difficult to make and I had to substitute roasted artichoke hearts with marinated artichoke hearts. I also used much less rosemary. My neighbor used marinated asparagus instead of roasted artichoke hearts and hers was just as delicious. Great recipe. Thanks for sharing Kim. So glad you enjoyed it. Now that you know how to make a basic risotto, you will find you can use all kinds of flavorings with great success. Risotto is a great way to use leftovers, when you have something delicious, but not enough left to serve as a meal. Loved this recipe!!! 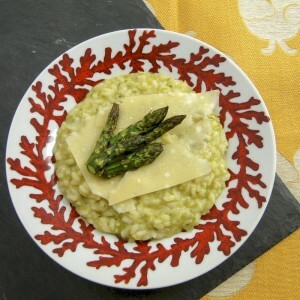 Kim does a great job with describing exactly how to cook this scrupmtious risotto recipe!!! I will definitely make this again!!! 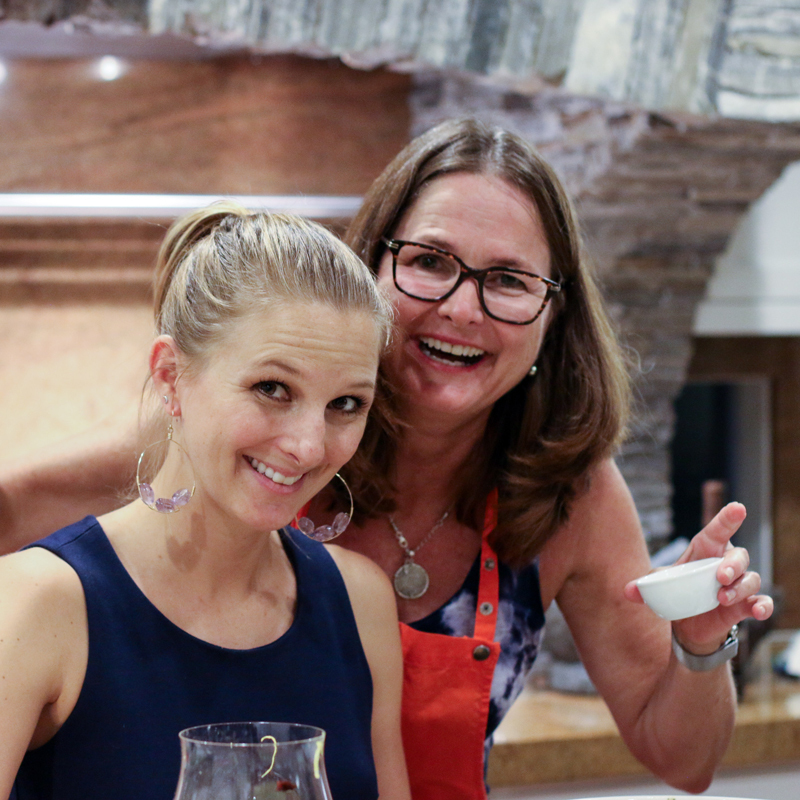 And love that Kim has a website for all to enjoy her delicious recipes!!! I made this risotto last year for Valentine’s Day, and my roommate loved it so much that this year she texted me begging to make it again for Valentine’s! It is always a big hit with everyone! This dish was so tasty! 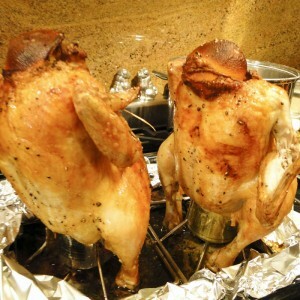 We substituted the grilled artichoke hearts for marinated ones and left out the chicken to serve it as a side dish. As a first-timer making risotto, you weren’t kidding when you said it required a lot of stirring! But the end product made it 100% worth it. 5/5 will be making it again! I am so glad you liked the recipe. 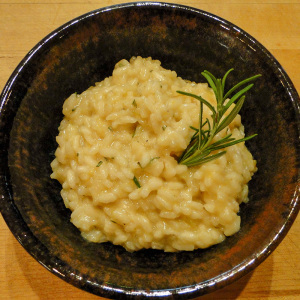 I make a simple version with just lemon and risotto as my go-to risotto recipe all the time. It has great flavor and almost rivals mac and cheese as comfort food. Don’t sweat the stirring. Pour yourself a glass of wine and enjoy the process!